Roxy Salon Tattoo Design Tattoo and body piercing Bucharest is a prominent member of Romanian Union Tattoo being one of the best and serious tattoos and piercing salon in Bucharest and recently opened a branch in Barcelona. 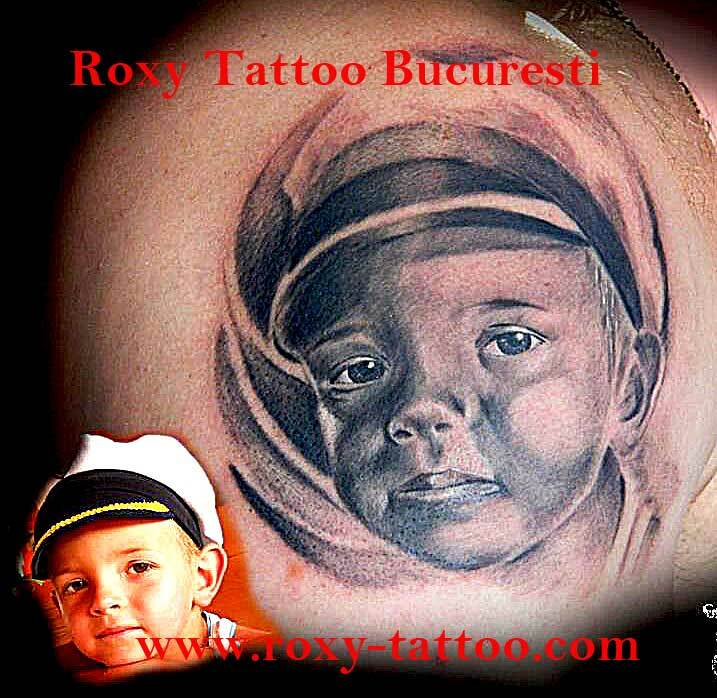 We have made thousands of young people happy with our tattoos done in these years, and recommend us as one of the best tattoo salon in Bucharest. As advice is that , a tattoo should be executed by professionals like us not from small tattoo studios which will be closed in two or three month . It is a joy to have a beautiful tattoo! 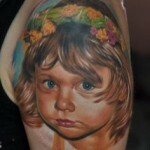 No experience, technical and artistic talent is impossible! 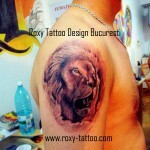 After thousands of executed tattoo and years past in Bucharest , Roxy Tattoo Design work with experience . 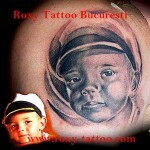 I made thousands of young happy with tattoos and our work on our recommended! 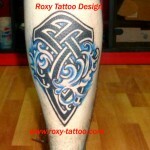 Tattoo Roxy became a partner in the whole country (clients come to us across the country) and an advisor for those who like tattoos, the expertise and the multitude of information made available by the tattoos on its blog site www . 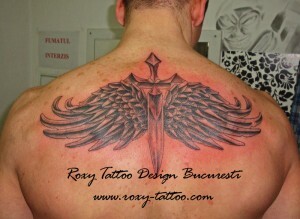 roxy-tattoo.com. Has a salon of 100 sqm, well equipped with high quality materials. 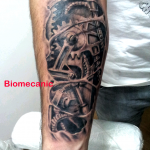 We are serious, professional and answer for what we do. Our address is Old Central Bucharest Town – Calea Victoriei 21-23 sector 3 – Bucharest- 1. Phones are 004 0723 265771 or 004 0722403977. 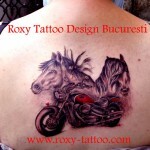 On site www.roxy-tattoo.com, you have about 200 tattoos made by us and many other aspects of Roxy Tattoo Design Bucharest salon . 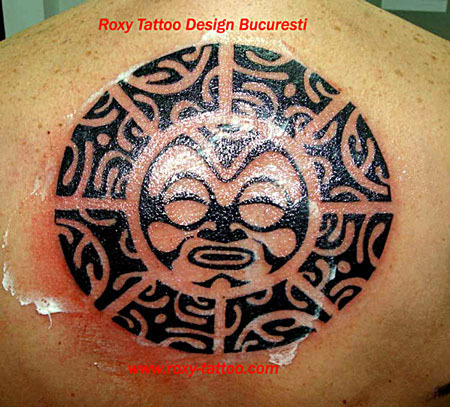 Roxy Tattoo Design Tattoo Salon Bucharest is designed by a former manager of multinational company and is one of the best tattoo and piercing studio in Bucharest. It is a salon based on good management, I would say less and has a cosmopolitan air simply intellectual. 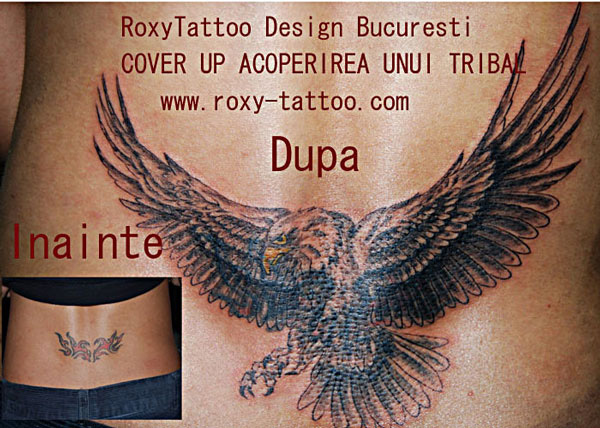 This site and blog is built to customer tattoos – is extremely functional and is one of the most complete Romanian sites on the activity of a tattoo salon and meets the informations and requirements that a client wants to get to and a tattoo. „Hello! 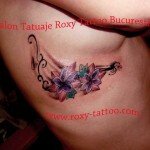 Cristina B and by this mail I want to express my gratitude for the beautiful tattoo that I have got two days ago! 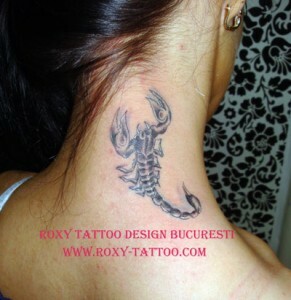 My Scorpio Blue came out very well and everyone who saw admired. It was worth! 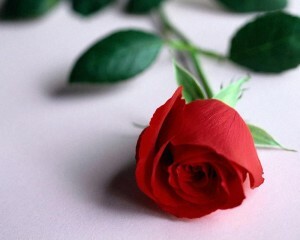 I thank you Ionut, who was very patient, very understanding, a sense and sensibility as rarely meet today! It was a great experience, maybe longer, and more, not sure yet. However, continued success as well do what you do! 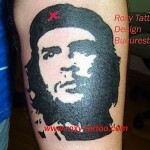 We’ll see and hear „Cristina – B.
I tried removing it intellectualized the art of the tattoo to be hidden Romanian mentality and be among people with poor intellectual training. 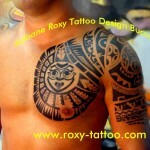 We try to demonstrate, as in Western Europe and America, that tattoo is a positive psychological factor and a „fashion item. 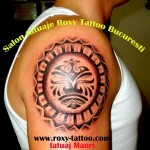 Roxy Salons Tattoo Design Bucharest and piercing experience promotes respect, trust and reliability. I hired on the basis of competition of the best tattoo artists in the country, well paid, respected, which is within the rules of management thinking by Roxy Tattoo Design Bucharest and who meet the high standards of high competition in Bucharest. Have medical tests to date, degree certified by professional tattoo and first aid certified, certified by Red Cross certified hygiene and have a high performance back and moral probity and respect for the client and to work. 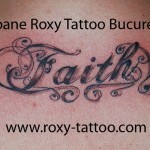 The two tattoo artists from (two boys and flexible) Tattoo Roxy who design the team, were carefully selected among the best, meet years of experience and meet the standards required by management. 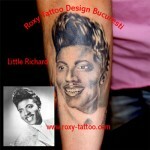 They worked in the tattoo-many years in many professional salons authorized accumulating extensive work experience. 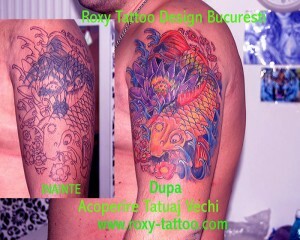 Management company, with two tattoo artists meet all criteria to guard the quality of execution, the medical safety and exemplary behavior in relationship with its customers. We are flexible, but serious and demanding respect and ask! 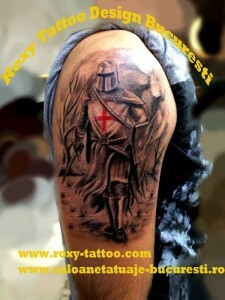 Some works (in number about 200) are displayed on our site in the gallery tattoos, and their quality will talk about how we deal with high quality and reliability also very important problem of sterilization and medical safety, quality tattoo (not allowed to make mistakes or skin once a customer!) 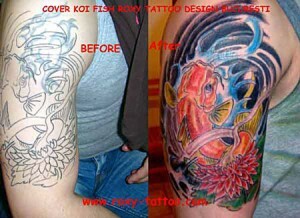 and guarantee that we provide our way of approach seriously. 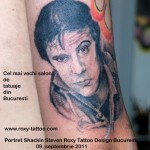 Portraits that are most difficult works executed by a tattoo artist, are present in our gallery and also cover tattoos roxy tattoos tattoo blog. 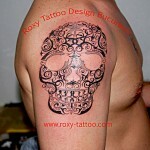 Again, because Roxy Tattoo Design is the soul of their business, besides their other business, the owners themselves salons tattoos Tattoo Roxy takes care of business details (including sterilization) no detail escape, to raise the maximum final performance, quality and medical safety of the tattoo. That really matters to us! 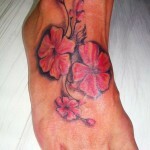 Customer to leave with a beautiful tattoo and healthy without any disease . 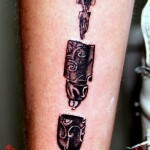 In this blog I used all his experience to help you treat this matter with almost seriousness tattoo because a tattoo is something very bad had serious unrecoverable, noting that no laser or other means we can not remove easily. 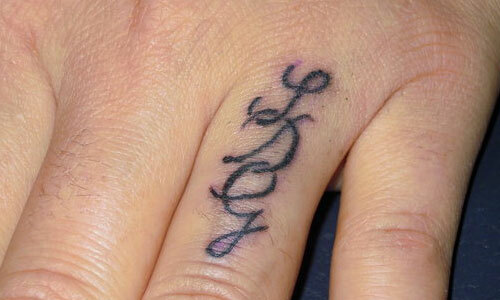 A bad tattoo is a very serious and very difficult to solve. 3. 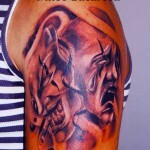 Tattoo after care – how to take care not to damage it and not get infected , what you should not do to be good new tattoo healed without complications. Roxy beyond the commercial side, human side prevails. Man is made first and then the material side. 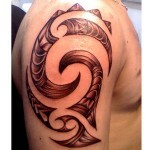 If the elements and seriousness client fail to properly tattoo perfection and beauty, better than to refuse it and do something bad to suffer a lifetime. Be mature and serious and go to authorized salons . 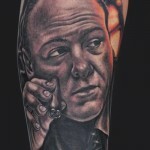 Rely on experienced tattoo artists and works great portfolio carefully, ask where you can trust, you can see documents and papers and responsible management team (where applicable!) 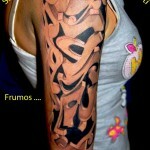 And tattoo artists. Do not look at tattoos and piercing salons obscure, by all gangways of neighborhood blocks, designed to make tattoos weak, sick and make money at the expense of naivety and credulity! Many customers come to us for repair of these so called ‘pseudosalons’, where you can not find even 10% of the certificates required by SANEPID and also the necessary material means of sterilization activities and prevent contamination hazards. 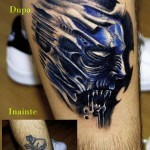 Look carefully at the salon to tattoo artists on their work in their determination to do good and to provide some material because it is very important. At the top salons, people are the best, pay well and sending their best to do one thing all good things to come with quality! Otherwise we stay in the market! 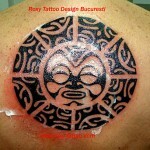 In 2010 a lot of tattoo shops came and in 2011 came the end few remained , but those are the good and serious. 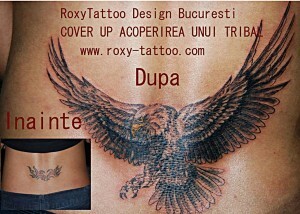 Roxy Tattoo Design Bucharest is a pride that after thousands of tattoos done in tattoo salon Tattoo Roxy, customers return to send us good thoughts, health and ask us to come visit us in your spare time giving us good thoughts. 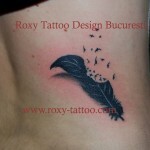 Roxy Tattoo Design Bucharest was built on a philosophy of life in a positive and constructive attitude. 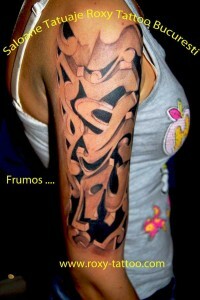 You are always welcome at our salon with any questions and desire to understand our vision and mission in tattoo art. 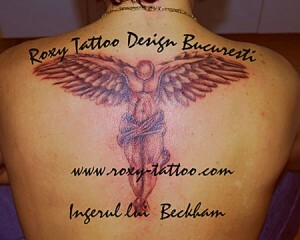 Tattoo salons , has no a big business and do not have budgets to promote the art market because the tattoo market in Romania is small , and the possibilities are reduced. 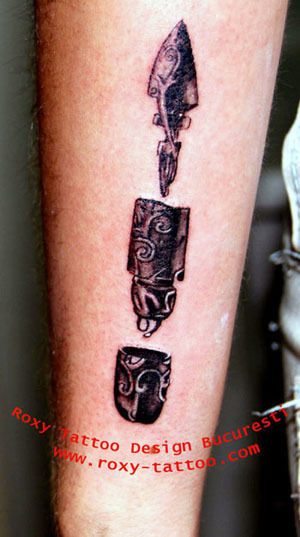 But this way, thank you show Miami Ink Tattoo, more recently LA Ink because it opened the door to a magical art so beautiful and fascinating.